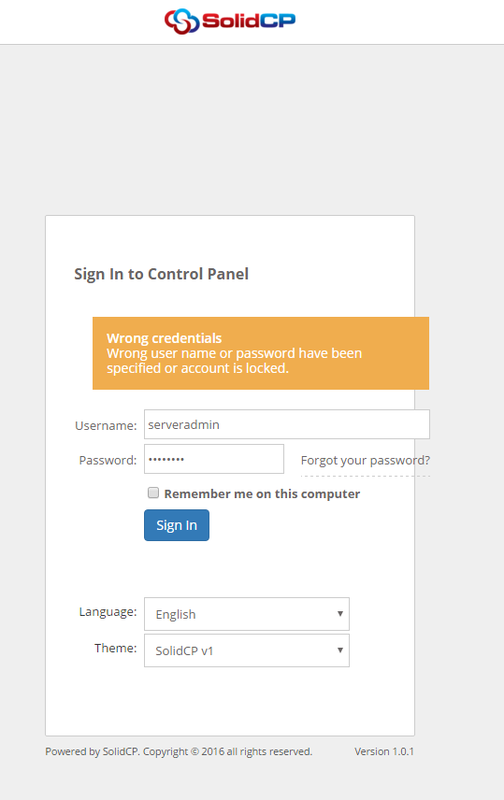 Wrong credentials Wrong user name or password have been specified or account is locked. Error in SolidCP. Wrong user name or password have been specified or account is locked. I ve reset in the past by clicking settings on the website panel installer, however it get an error there as well as the version is not the same. please advise of next steps. You will need to make sure you copied those over correctly to the solidcp enterprise web.config aswell as the scheduler config. Else all passwords will not match. 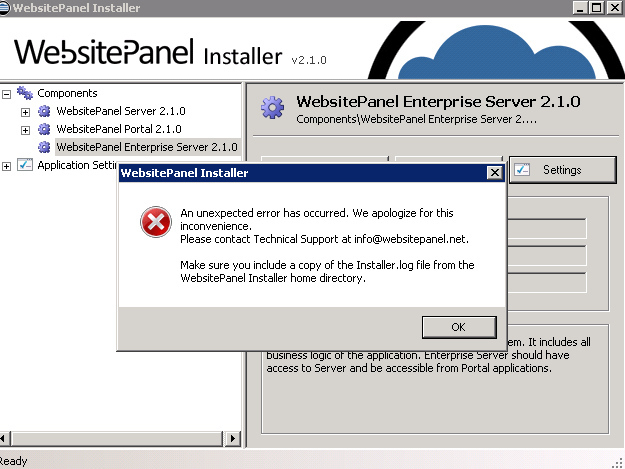 The WebsitePanel installer does not work with SolidCP, you can convert the installer of WebsitePanel to SolidCP but i have not yet made any guides about this at this point.